Sílvia Osuna Oliveras (Castelló d’Empúries, Girona, 1983) has been named as the winner of the 2016 FPdGiScientific Research Award for her contribution to a new form of developing enzymes –the chemical catalysts of life– which will allow drugs to be produced more cheaply. 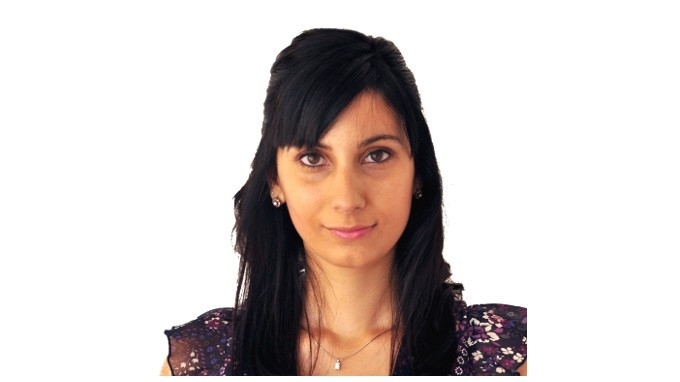 The jury, meeting on this occasion at the headquarters of the Valencia Council of Culture, this afternoon announced its unanimous decision to award the prize to Osuna “for her research focused on developing customised enzymes using computational chemistry to synthesise and produce drugs”. The members of the jury in this edition of the FPdGi Scientific Research Award were María Blasco Marhuenda, director of the Spanish National Cancer Research Centre (CNIO) and member of the FPdGi Advisory Council; Emilio Lamo de Espinosa, chair of Sociology at the Complutense University and member of the FPdGi Advisory Council; Avelino Corma, chemist, founder and former director of the Chemical Technology Institute (ITQ); Oriol Mitjà, FPdGi Scientific Research Award winner in 2013; and Jorge Wagensberg, editor, writer and professor at the Faculty of Physics at the University of Barcelona and also member of the FPdGi Advisory Council. Explaining their decision, the jury praised the winner “for her scientific excellence, bold approach to research and innovative capacity in the development of a new technology”. Overcoming her initial surprise at receiving this award, which she described as “great recognition”, the scientist from Alt Empordà, who is currently working at the Technological Park at the University of Girona, talked about her excitement at working with enzymes, “the body’s real catalysts that make life exist”. “Thanks to computational chemistry, we can modify these enzymes naturally and, therefore, provoke reactions in the body that we want, because the enzymes behave how we want them to. We are talking about purer, cleaner and faster reactions which, when developing drugs, allow us to reduce production costs and, therefore, be much more sustainable in the process”. The event in Valencia was the third winner announcement in this year’s Princess of Girona Foundation Awards, after the Arts and Literature category (Zaragoza, 17 March) and the Business category (Granada, 5 April). The Princess of Girona Foundation Awards recognise the innovative and exemplary work of young people aged between 16 and 35 years, and that of an organisation working for young people. The Scientific Research category recognises the work of young scientists (including those working in human and social sciences) with outstanding entrepreneurial and innovative research projects or experiences in their discipline that show strong potential for future development. Of the 209 nominations received for the seventh edition of the FPdGi Awards, a total of 74 were for the Scientific Research category. After the jury had announced its decision, at a meeting in the Palau de Forcalló, headquarters of the Valencia Council of Culture, thirty local young people were invited to share their experiences and concerns with the members of the jury at one of the now traditional lunch meetings that the FPdGi organises during these winner announcement ceremonies. The event closed in the formal Chapter House of the Carme Centre with a round table entitled: “What role will Spain’s scientific community play in the main advances in the next ten years?”.Taking part in the debate were members of the jury and Samuel Sánchez, FPdGi Scientific Research Award winner in 2015, with Jorge Wagensberg as moderator. Born in Castelló d’Empúries in 1983, Sílvia Osuna Oliveras holds a degree and doctorate in Chemistry from the University of Girona. She has made study and research stays at institutions such as the University of California in Los Angeles (United States) and the Université Libre de Bruxelles (Belgium). Her research has focused on conducting the MetMoDEzyme project, which aims to develop a computational protocol for designing enzymes to reduce the cost of producing drugs. Enzymes are nature’s catalysts which make all the chemical reactions necessary for life possible. 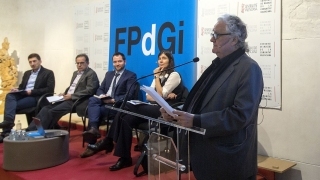 The FPdGi Arts and Literature Award, which recognises talented young people involved in promising work in any discipline of the arts and literature (cinema, theatre, dance, gastronomy, music, photography, painting, video, architecture, fashion, sculpture, literature, design and any other artistic expression). The joint winners of the 2016 Award were announced on 17 March in Zaragoza, and were named as percussionist Andrés Salado and poet Elena Medel. The FPdGi Business Award, which recognises young people with entrepreneurial initiative who have led or are promoting original and viable business projects that stand out for their positive impact on society. On 5 April, at the University of Granada, the winner of this year’s award was named as Sergio Álvarez Leiva, CEO of CartoDB, who was chosen for his innovative cartographic development which allows great quantities of data collected by all types of mobile devices to be visualised and analysed in maps. The FPdGi Organisation Award, which will be announced on 26 April in Madrid, recognises the outstanding efforts of entrepreneurial institutions that work for young people, fostering entrepreneurial spirit, employment and employability, education and academic success, vocation and talent. The FPdGi Social Award, which will be announced on 5 May in Barcelona, recognises young people who, through their leadership and personal commitment, have successfully created and promoted projects that foster the integration of marginalised people and groups or those at risk of exclusion, with a new innovative vision and through social entities or businesses. 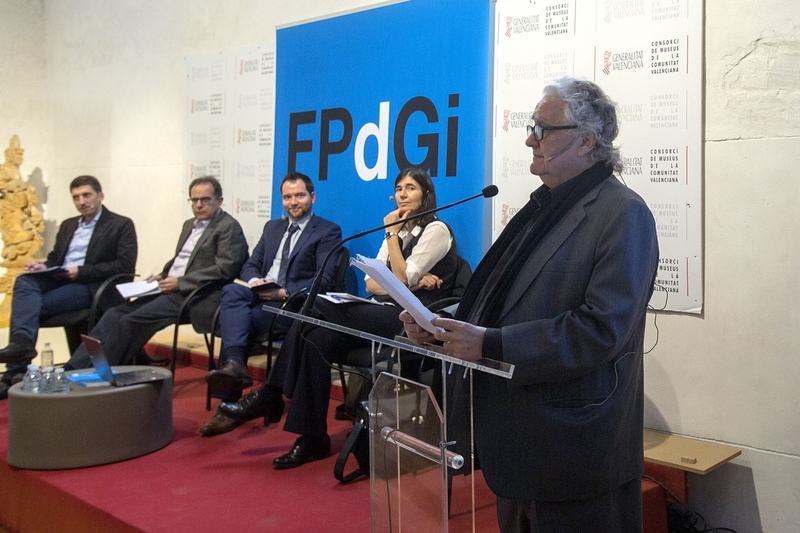 The 2016 FPdGi Awards presentation ceremony, with a prize of €10,000 and a reproduction of a sculpture by Juan Muñoz, will take place on 1 July in the presence of Their Majesties The King and Queen of Spain, as part of the two-day programme of activities being hosted in the city of Girona. The first day will include various entrepreneurial activities for young people in the city’s historic quarter, and a new edition of the Close Encounters meetings. On the following day, the 3rd Teaching Entrepreneurial Talent in Schools Conference will be held together with the annual meeting of the participants in the Mentoring Talent programme.